Sanchi a unique historical destination is known, not only for having the most perfect and well preserved stupas, but also for offering the visitor a chance to see, in one location, the genesis, flowering, and decay of Buddhist art and architecture during a period of about 1500 years -- almost covering the entire range of Indian Buddhism. It gives you a vivid glimpse of the entire gamut of Indian Buddhism. 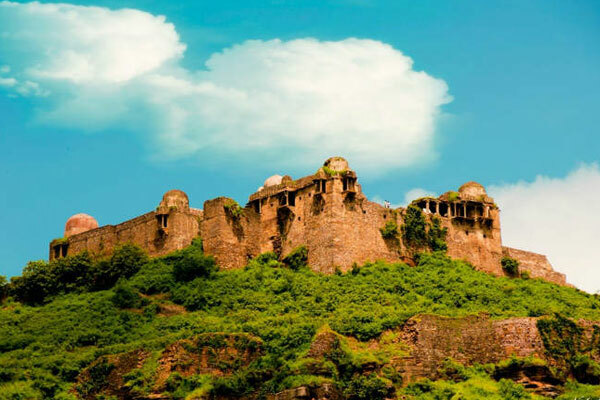 It is where King Ashoka gave shape to his newly acquired fervor for the religion. This led to the flowering of many stupas and Buddhist monuments in the place. Sanchi stupas are noteworthy for their gateways as they contain ornamented depiction of incidents from the life of the Buddha and his previous incarnations as Bodhisattvas described in Jataka tales.These ancient remnants help one in understanding the inherent spirit of the religion and also get the picture of the genesis, efflorescence and collapse of Buddhist art and architecture. 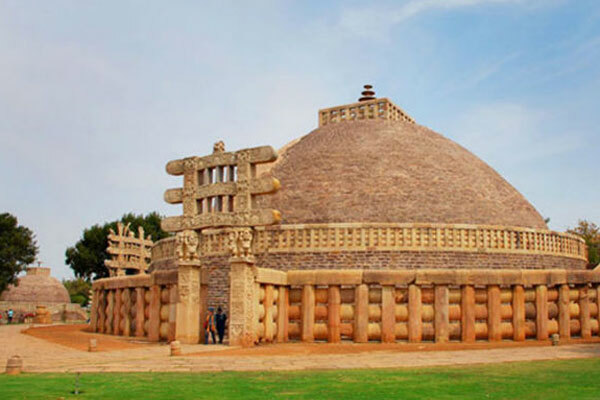 Apart from its plethora of attractions, Sanchi is also an important stopover for visiting other tourist attractions near the place. 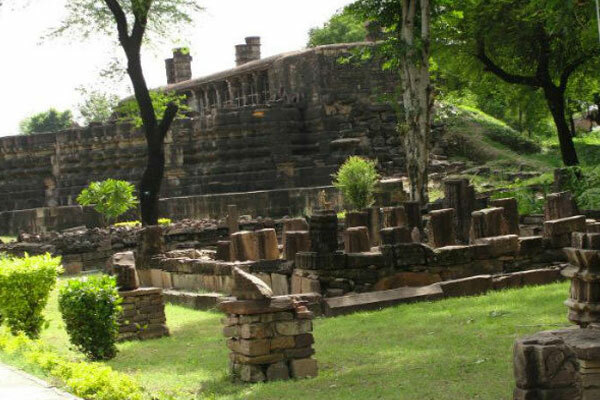 Bijamandal, which is popularly known as Vijayamandira Temple, is located in Vidisha, the headquarters of the Vidisha District. Constructed in the 11th century, this temple was destroyed in the year 1682. After its demolition, Aurangzeb, the Mughal emperor, constructed a mosque called Alamgiri Masjid, at the site. The material of the destroyed temple was used in the construction of this mosque. Located between the Beas and Betwa rivers, the Udaygiri caves, rock-cut caves contain inscriptions of historical importance. The caves date from AD 320 to 606. 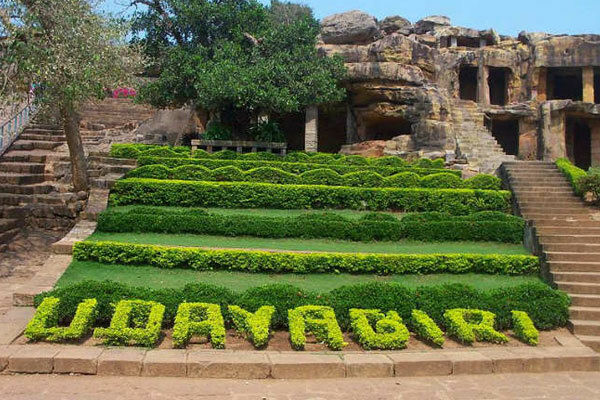 An inscription in one of these caves states that it was produced during the reign of Chandragupta II (AD 382-401). Out of all the sculptures and carvings, one of the most famous is the figure of Vishnu. This figure depicts Vishnu in his incarnation as the boar-headed Varaha. These caves also contain some of the important records and inscriptions belonging to the reigns of Chandragupta I and Kumaragupta. Satdhara Stupa is located nearly an hour^s drive from Sanchi, on the banks of a green, tree-covered hill overlooking the Halali River. It is easy to understand why the monks came to Satdhara. The place is incredibly stunning, as much for its natural beauty as it is for the calm that pervades in its holy precincts. Though the stupas at Satdhara are a creation of the same thought process that spawned those at Sanchi, Satdhara is significantly different. 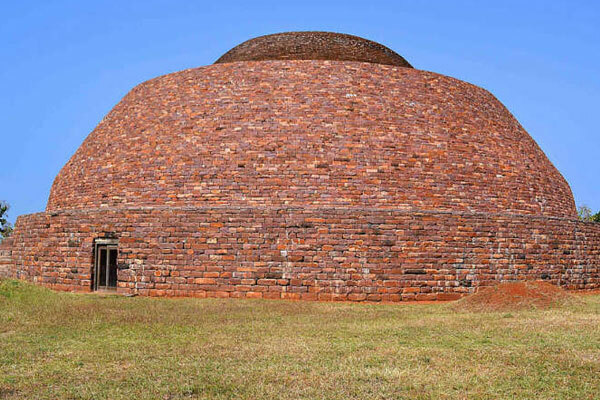 The main Stupa of the site is similar to that of Sanchi having remains of railings. It is 13.65 mt. high excluding platform with diameter of 32.80 mt. . Recent excavations have revealed brick pradakshinapatha & stair case of the Stupa. Other remains are of monastery and apsidal temples. (Maurya & Sunga Period). 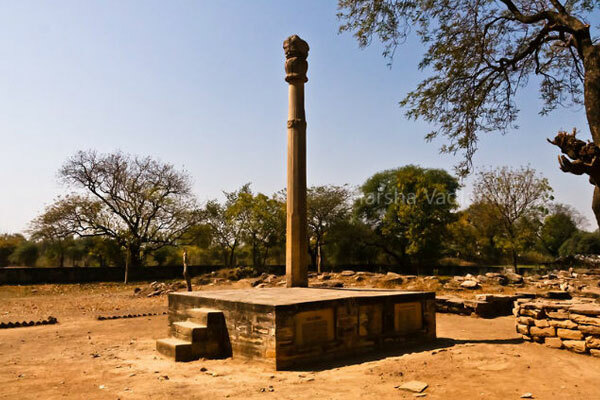 Famously known as Khamba Baba, the pillar was erected by Greek Ambassador Helidorus during the second century BC. Heliodorus became a devotee of the Brahmanical god, Vishnu whose vahan, or vehicle, is the eagle Garuda. Heliodorus erected a pillar crowned by a Garuda in honor of his devotion. This is now a protected monument in its own walled grounds. Dedicated to Lord Krishna, the pillar was surmounted with the sculpture of Garuda having inscriptions in Sanskrit. The pillar is worshipped by local fishermen. 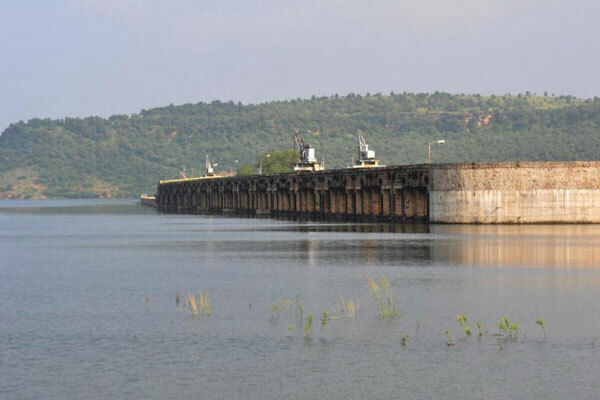 Halali dam is known as Samrat Ashok Sagar Project. It is constructed across Halali river a tributary of Betwa river. It is 945 m long with maximum height of 29.57 m above the foundation level. Catchment area of the project is 699 sq. km of which is 25 % is hilly, rest is plains. It is about 47 kilometers from Bhopal^s New market and towards Sanchi.